“Los Angeles County’s sound fiscal management has afforded us the ability to address a number of quality of life issues for our residents. “The fact that we have unprecedented resources at our disposal to tackle homelessness is due to voters placing their trust in the County’s action plan for addressing this crisis. With this budget, we will not only uphold that pledge but double down and invest more than ever in solutions such as affordable housing – the twin issue to homelessness. We will also put more resources into supportive services, including expanding street outreach teams. The increased investment means, in no uncertain terms, that we recognize the intractable nature of the homelessness crisis but remain undeterred. “In the area of public safety, we are working closely with the Inspector General and the Civilian Oversight Commission. We are also investing in body-worn cameras, a fundamental feature of 21st century constitutional policing, and putting more resources into diversion programs to give more people a second chance. 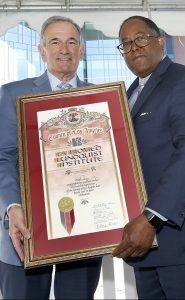 “Recognizing the role that the arts can play in healing and overcoming trauma, in addition to fostering creativity and inspiration, we are establishing the County’s first Department of Arts and Culture. “I also want to underscore the creation of the County’s Office of Violence Prevention, which will help create conditions that promote peace in communities. We’ve seen the effectiveness of this work at the Martin Luther King, Jr. Community Healing and Trauma Prevention Center, and are convinced of the need to make such services more widely available. 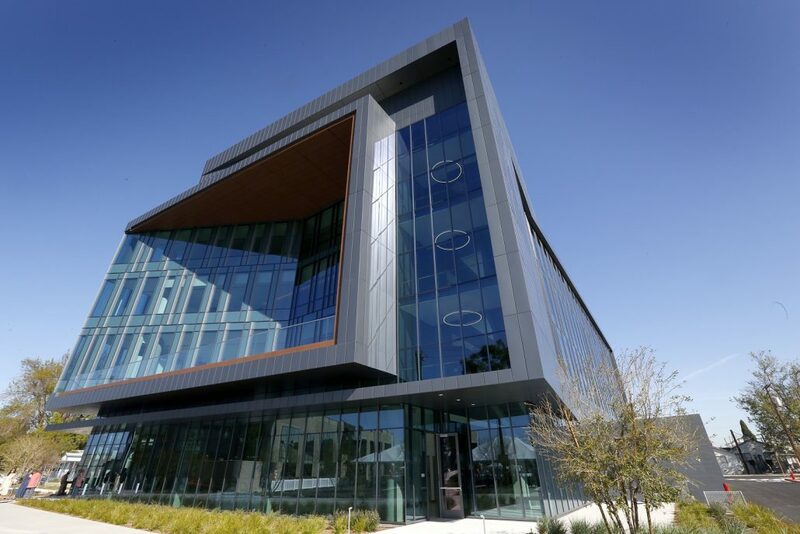 “Finally, we are creating partnerships and building a investment fund for the bioscience sector, which is booming and creating jobs in Los Angeles – which is just how we like it. 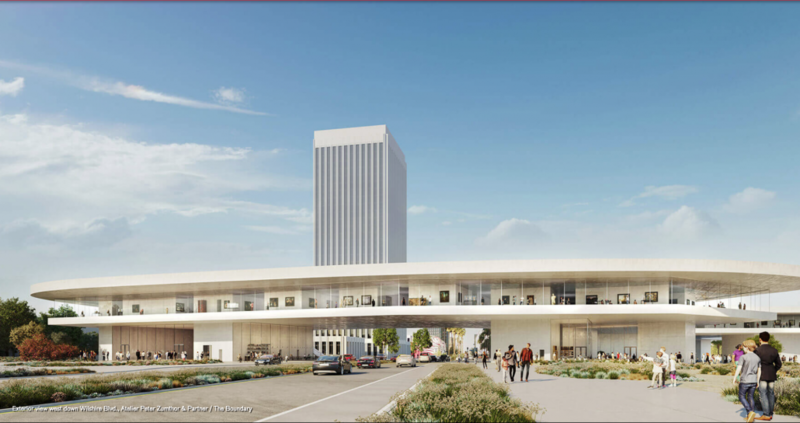 The Board of Supervisors approved a new permanent collection building for the Los Angeles County Museum of Art or LACMA. 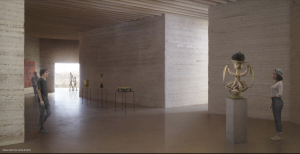 Designed by the Pritzker Prize-winning Swiss architect Peter Zumthor, the building will be the final component of a decade-long transformation and expansion of the campus. 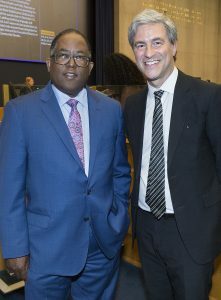 Supervisor Mark Ridley-Thomas with LACMA CEO Michael Govan after the Board voted to approve LACMA’s new building. Photo by Diandra Jay. 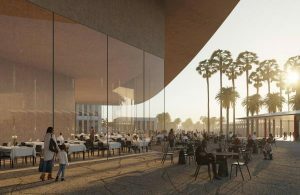 LACMA has already raised 85 percent of the $650 million price tag for the building, primarily from private donors, including philanthropist and entertainment executive David Geffen. The County’s contribution is $125 million. 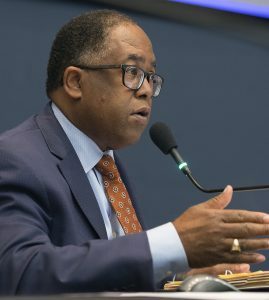 “LACMA is a cornerstone of the arts and culture in Los Angeles, and the County is proud to be part of the effort to ensure its vitality as an important civic institution for many more decades,” said Supervisor Mark Ridley-Thomas, whose district includes a portion of LACMA’s sprawling campus on Wilshire Boulevard. Actors Diane Keaton and Bratt Pitt testify before the Board of Supervisors in support of the LACMA’s new building. Photo by Diandra Jay. 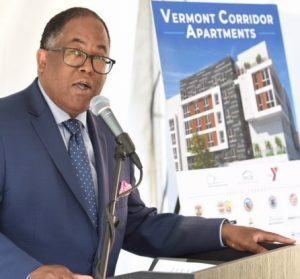 The Supervisor added, “The new building is a true embodiment of public-private partnership, made possible through both the County’s commitment and the profound generosity of our community,” the Supervisor added. LACMA is the largest art museum in the western United States, with a collection of nearly 140,000 objects that illuminate 6,000 years of artistic expression across the globe. Construction of the new building is scheduled to begin in early 2020 and conclude in late 2023. By the time it opens, LACMA will have grown its indoor exhibition space from 130,000 to 220,000 square feet – a 70 percent increase over 15 years – and added 3.5 acres of park and open outdoor space to offer visitors new and innovative ways to experience LACMA’s vast encyclopedic collection. The new building, to be called the David Geffen Galleries, will replace four aging structures, namely the Ahmanson, Art of the Americas, Hammer and Bing. 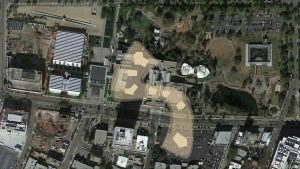 It will cover the footprint of the demolished buildings, and then span across Wilshire Boulevard to the Spaulding parking lot. It will be composed of seven semi-transparent pavilions that support a single elevated exhibition level with a floor-to-ceiling glass perimeter. The horizontal design will place art from all areas of LACMA’s encyclopedic collection on the same level, with no obvious facade or front or back, offering a non-hierarchical display of art. 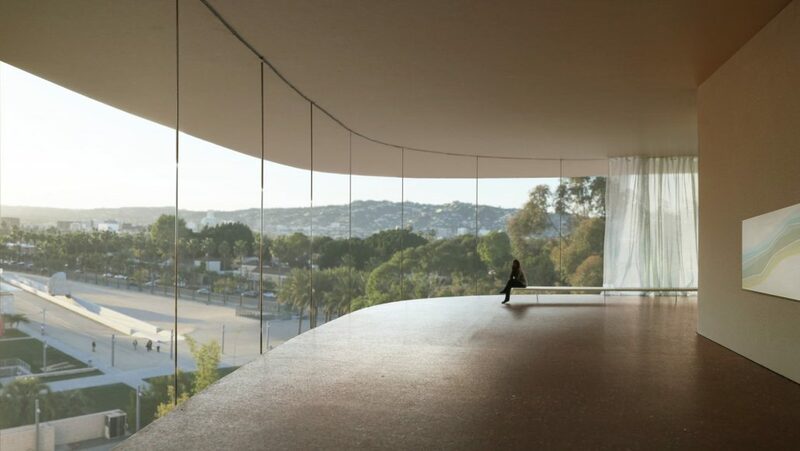 The single-level gallery floor will be more intuitive to navigate and easier to access, especially for wheelchairs and strollers, and its perimeter of transparent glass will provide energizing natural light and views to the park and urban environment, with views from outside into the galleries. The display of all art on one level avoids giving more prominence to any specific culture, tradition, or era, offering visitors a multitude of perspectives on art and art history in a more accessible and inclusive way. The building also includes a new theater, education spaces, three restaurant/cafes, a museum shop, and covered multipurpose event spaces. Celebrating significant progress toward the Crenshaw/LAX Transit Project, the Los Angeles County Metropolitan Transportation Authority (Metro) joined federal, state and local elected officials and community leaders to mark the completion of the Southwestern Yard, designed and constructed to attain LEED Silver Certification with many “green” features. These features include: pollution reducing construction processes, easy access to public transportation for workers, treatment of storm water runoff and the use of low-emitting paints, sealants, coatings and materials. There is also energy-saving lighting and air conditioning. 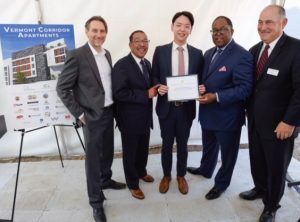 The $172-million rail maintenance facility that will serve the future Crenshaw/LAX Line and Metro Green Line was designed and built by Hensel Phelps Herzog (HPH) under contract with Metro. Design work began in June 2015, construction in May 2016 and work was completed in January 2019 with the project on time and on budget. 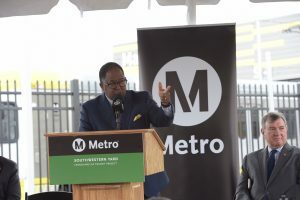 Metro’s Southwestern Yard, the Airport Metro Connector/96th Street Station, the Automated People Mover and the Aviation/Century Station will become the gateway to LAX for travelers and will provide better and equitable access to employment centers in this area. Light rail vehicles will be maintained and inspected at the 115,000-square-foot facility where other work will be done including body repairs, painting, storage and cleaning and washing. In addition, the facility will house general administration and support service staff, miscellaneous maintenance shops and equipment housing and storage. The rail yard will have the capacity to store 70 light rail vehicles and will have about 200 employees. 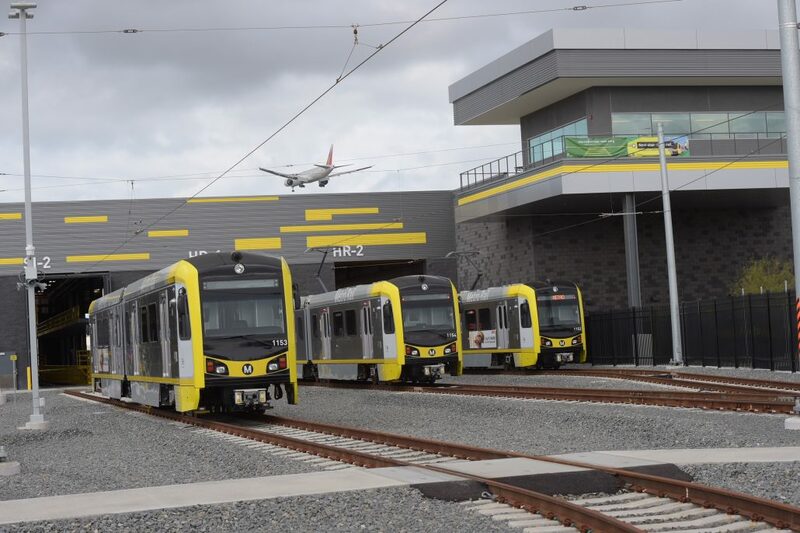 The Southwestern Yard is part of the Crenshaw/LAX Transit Project, the 8.5-mile light rail line that will meet with the Expo Line and connect with the Green Line near the Aviation/LAX Station. When the Crenshaw/LAX line opens in 2020 it will offer the communities of Crenshaw, Inglewood, Westchester and LAX a modern transit option that offers easy access to the rest of the Metro Rail system. 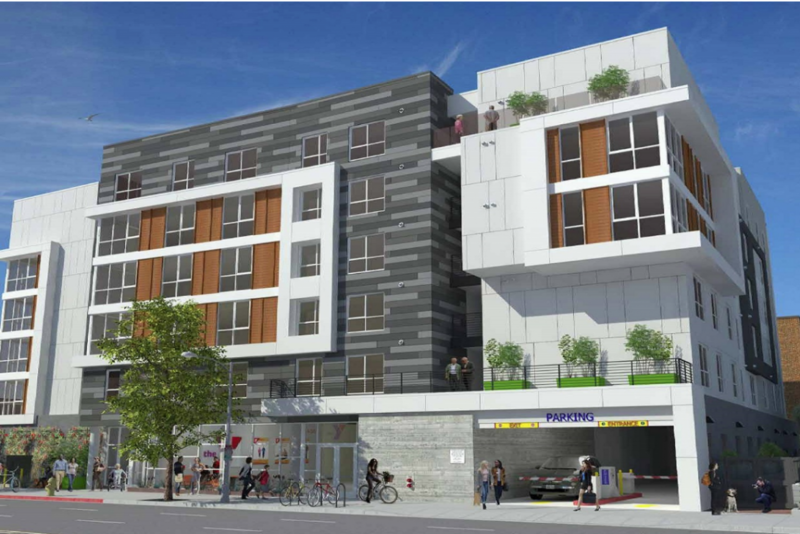 In 2020, Metro is expected to begin major construction on the Airport Metro Connector/96th Street Transit Station, which will be next to the new rail yard. The station will be the transfer point between local transit — including the Crenshaw/LAX Line and Green Line — and Los Angeles International Airport’s future Automated People Mover (APM) that will whisk riders to the airport terminals. The station and people mover are forecast to be complete in 2023.